Nothing irritates airline passengers more than checked baggage fees. According to a Consumer Reports survey, airline passengers rank checked baggage fees as their greatest irritation, way ahead of other pet peeves such as crying children. The sentiment is similar to how bank customers felt when banks began to unapologetically nickel and dime customers with all sorts of ancillary fees after the financial crisis. The banks did it in response to decreasing interest rates which ate away at their profit margins. The airlines did it in response to increasing oil prices, which drove many of them into the red. However, despite the recent decline in oil prices, the airlines not only continue to charge checked baggage fees, they continue to increase them. Why? Because, it brings in nearly $7 billion of revenue each year which makes their shareholders very happy. The fact that checked baggage fees are very profitable for the airlines, coupled with the fact that enough airline passengers are still willing to pay them, means they’re not likely to go away anytime soon. With some airlines charging as much as $100 per bag, each way (for a third checked bag), can add significantly to the cost of travel. Although the average first checked bag fee is around $25 ($50 round trip), it is one more indignity on top of smaller and more crowded seats, no pillows, and TSA pat downs that passengers must suffer. Fortunately, you can avoid these nasty fees by purchasing your airline ticket with the right k﻿ind ﻿o﻿f credit﻿ ﻿card. Delta Airlines charges $25 per checked bag. However, for Delta SkyMiles frequent flyers using one of its credit cards issued by American Express, the fee is waived for the first checked bag; and that includes up to nine companion travelers flying on the same flight. The cards do charge an annual fee, which may seem like you’re paying a price for not paying checked baggage fees; but, if you travel frequently, the extra perks and bonus miles may be well worth the price. The Gold Delta SkyMiles credit card from American Express charges a $95 annual fee (waived in the first year). The card offers new members a 60,000-mile bonus after spending $3,000 on the card within the first four months. It will also issue a $50 statement credit when you make a Delta purchase during the first four months. The Platinum Delta SkyMiles card charges $195 annually, but it rewards you handsomely with 10,000 Medallion Qualification Miles (MQMs) and 70,000 bonus miles for spending $4,000 within the first four months. You’ll also receive a $100 statement credit for making a Delta purchase during that time. For a $450 annual fee, the Delta Reserve Credit Card may seem like it skimps on the bonuses (10,000 MQMs and 10,000 bonus miles) but all you need to do to earn them is make a purchase on your card. The card will also get you priority boarding and access to Delta Sky Club. Using any of these United MileagePlus credit cards will get you out of paying checked baggage fees. 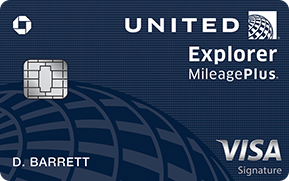 The United MileagePlus Explorer card and the United MileagePlus Explorer Business card both charge a $95 annual fee (waived in the first year on the business version). In addition to waiving the checked bag fee on the first bag for the cardholder and one other companion, both cards offer a $50,000 mile bonus for spending $3,000 with the first three months. 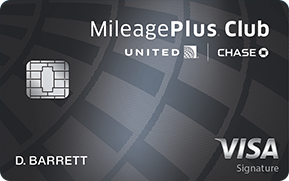 The United MileagePlus Club Card offers two free checked bag waivers along with United Club membership, priority check-in, boarding and baggage handling services and security screening – all for a $450 annual fee. 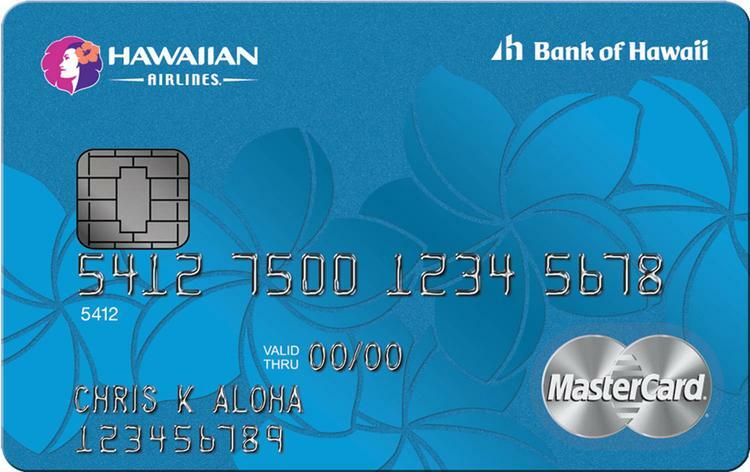 In addition to a free checked bag (cardholder only), Hawaiian Airlines World Elite cardholders also earn a nice 35,000 bonus miles for spending just $1,000 in the first 90 days. You can also get a one-time 50% discount on a companion ticket for flights between Hawaii and North America. 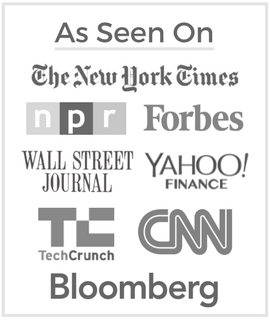 There is an $89 annual fee. 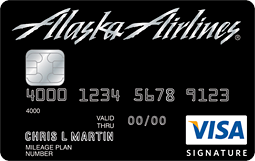 Alaska Airlines will waive the $25 fee on first and second checked bags for the primary cardholder of the Alaska Airlines Visa Signature credit card. Up to six travel companions can also have their first checked bag fee waived on all Alaska and Virgin American flights. For the $75 annual fee, you can also pick up $30,000 bonus miles and a $99 coach companion ticket for spending $1,000. 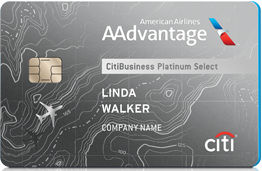 Whether you use the Citi/AAdvantage Platinum Select World Elite MasterCard or the CitiBusiness/AAdvantage Platinum Select World MasterCard, your first checked bag is free for you and up to four companions traveling on the same flights. Both cards charge $95 annually and both offer a sign-up bonus of 60,000 miles for spending $3,000 in the first three months. 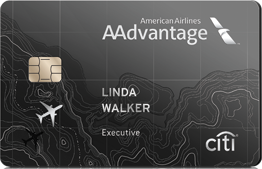 If you have $450 to spend on the annual fee, you can move up to the Citi/AAdvantage Executive World Elite MasterCard, which extends the free first bag benefit for up to eight companions. In addition to the sign-up bonus, you also get access to the Admirals Club.